This beginner's guide will walk you through managing and storing all of your contact information using Contacts on the new Samsung Galaxy Tab S 10.5 model. It's one of the basic yet major features and functions of the new Samsung tablet. What's highlighted most in this content are methods to add, edit, delete, save contacts on your new Tab S device. You may refer to this step-by-step tutorial if you want to. 1. To get started, get to the Home screen and touch Contacts. Or you can also touch Apps, then select Contacts. Either way can get you to the next same screen/menu. 2. Touch the icon to Add new contact (represented by a plus (+) sign on the upper-right corner of the screen next to Edit, Delete and Menu icons. 3. Under the Create contact screen, type in the contact name. You can use Name prefix, First name, Middle name, Last name and Name suffix for your contact name options. Just touch the Down arrow next to the Name field to show and view all name fields. 4. After entering the contact name, touch Phone number. There are several label options in this field. Among the available selections are Mobile, Home, Work, Work Fax, Home Fax, Pager, Other, Custom or Callback. Simply touch the label field to select your desired label option. By default, it will show as Mobile. To add more phone number fields, just touch the Plus sign. To delete a field, touch the Minus sign. 5. Enter the contact's phone number on the field. 6. Touch the Contact photo to change the contact's profile picture. 7. Touch Image from the given options. If you want to take a picture for the Contact, just touch Take Picture and you will directly get to the camera. 8. To retrieve a previously stored picture from the Camera app, touch Camera. You can change the picture that will appear when you get an incoming call from the contact and during interactions with certain apps. 9. To assign a picture to the contact, touch any of your preferred photo. 10. Touch and drag the blue box to crop the photo you want to use, then touch Done to continue. 11. Now touch Email address, and then enter the contact's email address in the field. 12. Once done, touch the Save button at the top of the screen. Doing so will save the new contact information on your device. 13. If you want to edit or modify an existing contact information, touch a field and change or delete the information. Or you can add more fields to the contact details. Just touch the contact you want to edit. 14. Touch the Edit icon at the upper-right of the screen in between the Add and Delete contact icons. 15. Touch any of the fields you want to add, edit or delete information and touch the Plus sign or Add another field to add a new field. Again, to delete a contact, just touch the Minus sign. 16. Save the changes by touching Save. Or if you want to exit without saving any changes you've made on the contact, just touch Cancel. 17. If you want to delete a contact, touch and hold the contact you want to delete, then touch the Delete icon on the upper-right corner of the screen (represented by a trash can image). 18. Touch OK to confirm deletion of contact. 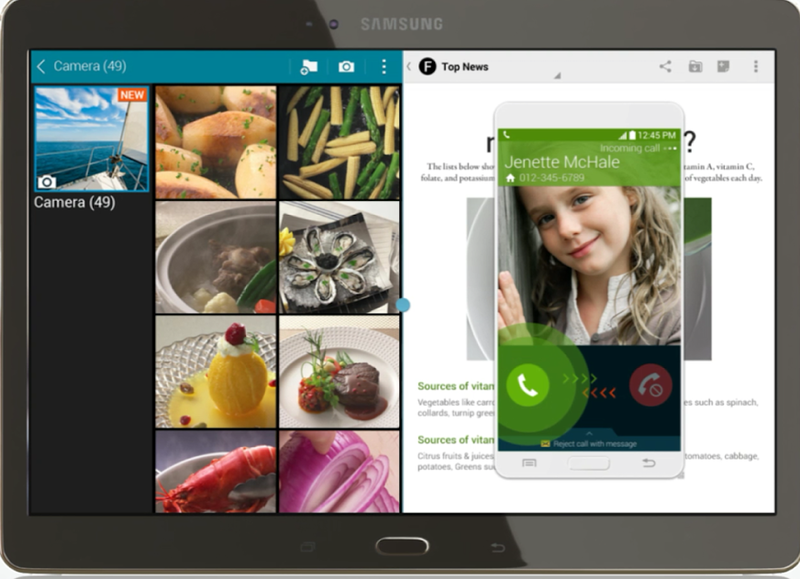 And that's all about Contacts management on your new Samsung Galaxy Tab S 10.5 tablet. Please keep posted for more tutorials on Galaxy Tab S and other new Galaxy devices at this site. Thanks for spending some of your time reading this content!